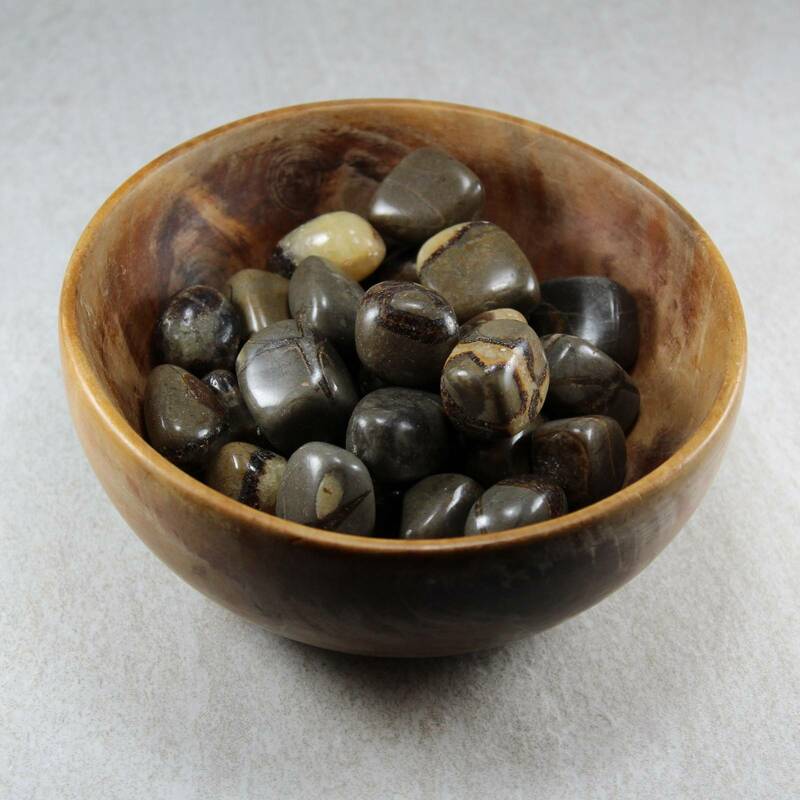 Septarian tumblestones, a lovely mixed colour tumblestone. 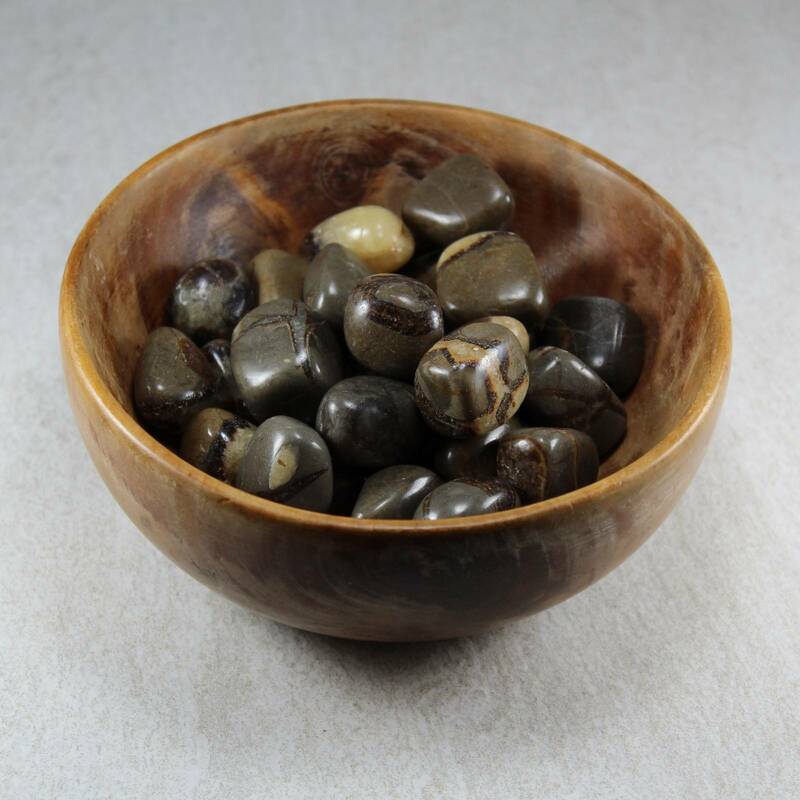 Septarian tumblestones, measuring 20-30MM approximately. 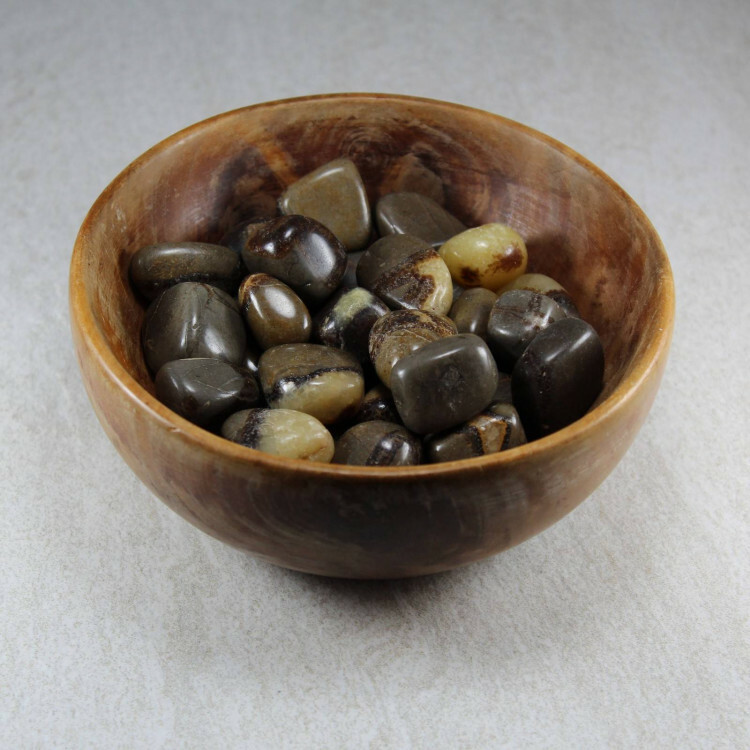 These tumblestones are a range of colours – greys, browns, yellows, blacks, etc. They are a mix of colours due to how Septarian nodules form. Most people find the yellowy areas most desirable but these stones do have a fair amount of the matrix stone, too. These stones look great displayed in a wooden bowl. For more information about Septarian, please see our main Septarian category.